Reigning Super Rugby champions the Crusaders have announced they are set to completely rebrand – and are considering completely changing their name following the Christchurch Mosque attacks. The New Zealand franchise have been criticised in recent weeks for their name and the symbolism the club uses due to its association with the religious Crusades between Christians and Muslims. And following multiple discussions, New Zealand Rugby have announced a company has been hired to rebrand the Canterbury-based franchise. The rebrand will consider retaining the name but dropping the associated imagery with knights and swords, or possible scrapping the whole brand and name altogether. 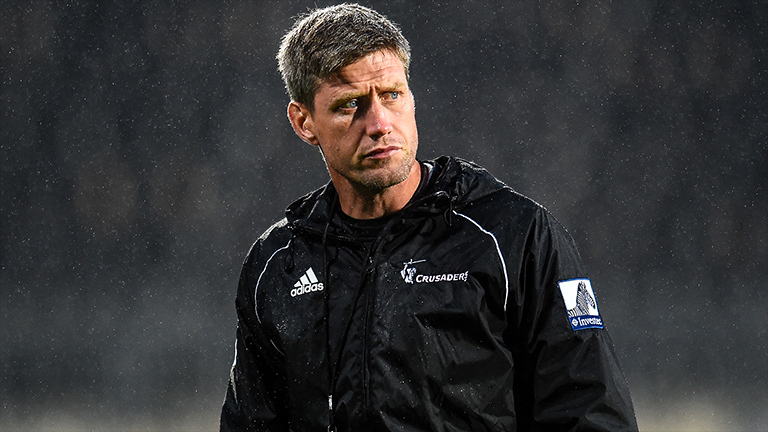 “In the wake of the Christchurch attacks, it is apparent that the symbolism the club has used, combined with the ‘Crusaders’ name, is offensive to some in the community due to its association with the religious Crusades between Christians and Muslims,” New Zealand Rugby Chief Executive Steve Tew said. The rebrand will consider retaining the name but dropping the associated imagery with knights and swords, or possible scrapping the whole brand altogether. “We are asking Research First to look into two possible options moving forward – retaining the ‘Crusaders’ name but changing the branding and associated imagery; or undertaking a complete rebranding, including the name and all imagery.